Update: It’s confirmed. The soak toast began rolling out and Verizon posted the official changelog for build 21.44.8 – the update is for VoLTE and Advanced Calling 1.0. If you were hoping for Lollipop, continue hoping. You can find the full changelog below. 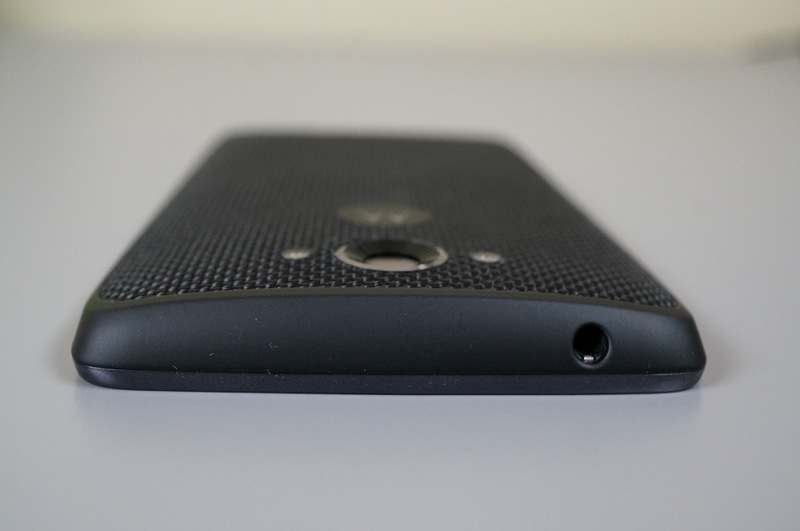 Yesterday, a number of readers tipped us to an impending update for the DROID Turbo that was kicking off through Motorola’s Feedback Network. We speculated yesterday that the update would include both Advanced Calling 1.0 (VoLTE and HD Voice) and Android 5.0 “Lollipop.” According to readers participating in a test of the update through Motorola, we may only see one of those – Advanced Calling 1.0. 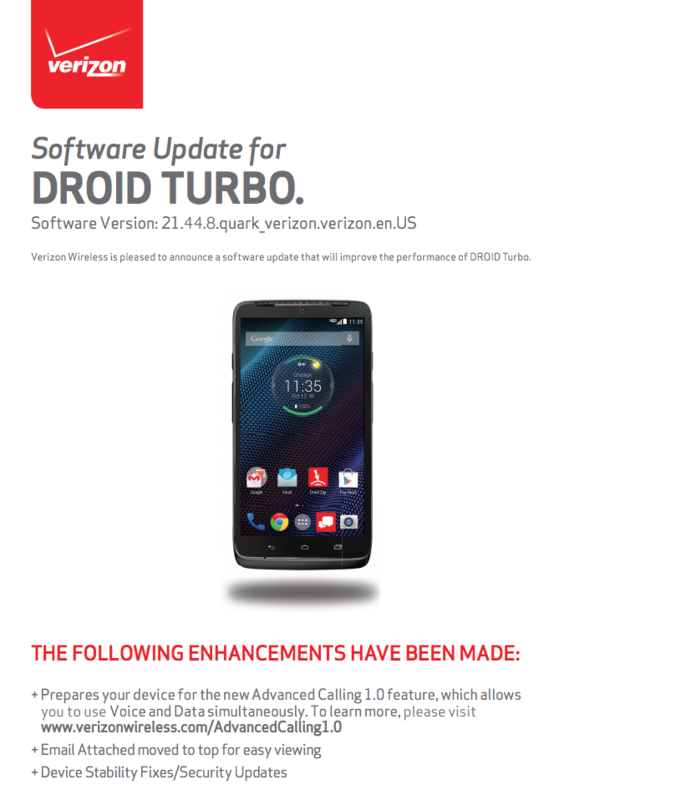 Motorola is currently labeling the update as “Droid Turbo VoLTE/Advanced Verizon DEC 2014 Software Update,” with no mention of it also updating the device to Android 5.0. That’s a bit surprising since a recent update for the Verizon Moto X (2nd gen) brought Lollipop along for the ride. However, the Moto X did not receive Advanced Calling 1.0 in that update. It looks like it’s one or the other these days from Big Red. 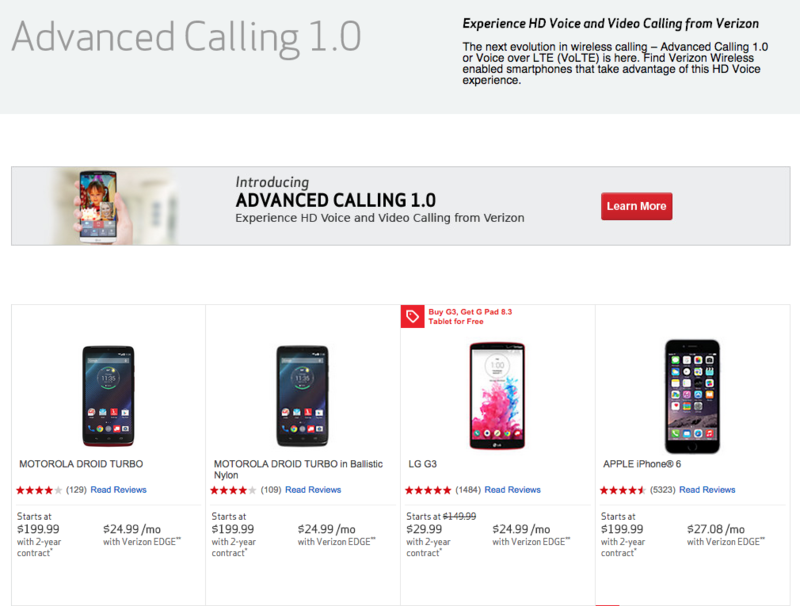 On that note, Verizon has also updated its Advanced Calling 1.0 device page include the DROID Turbo. So yes, it’s official. To learn about Advanced Calling 1.0, including how it will work on your phone, hit up this post. If we receive additional details, like a full changelog, we will be sure to pass along that info. Here is the changelog from Verizon. Cheers A, J, A, R, and P!